Long summer? Need a vacation? 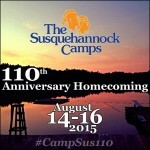 Susquehannock’s 110th Anniversary Homecoming could be the cure of your summertime blues!